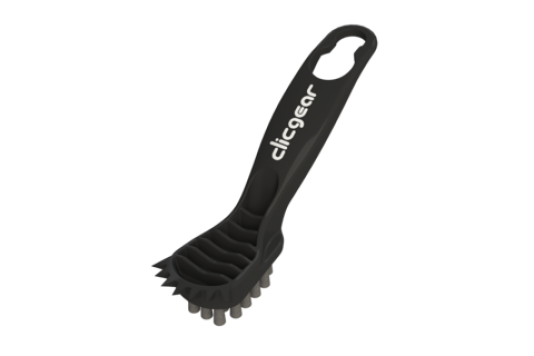 The Clicgear® Club Brush is an easy way to keep your club face clean. Designed to fit on the Clicgear accessory tab, the Club Brush provides easy access to a tool with multiple uses and functions. Strong bristles for cleaning grooves and shoes. Also several points for getting just about any groove clean.